The Full version of Kontakt 5.2 or higher is required to use this product. This product does not work with the free kontakt player. All Samples contained have been formatted in Big FIsh Audio's Kontakt Loop Interface series. Our standard of quality and innovation can be seen in our flexible KLI Series, where what loops are capable of has been totally reimagined. Expect nothing less than high-quality sound and ease of use when choosing a Big Fish Audio KLI library. The Following End User License Agreement is included with Free Sample Pack - KLI. 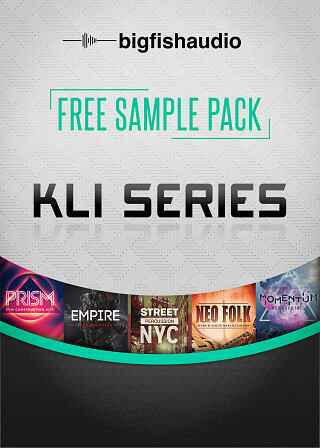 This License is only valid for the individual who has purchased an unopened, new and lawfully made copy of Free Sample Pack - KLI from a dealer or distributor authorized by Big Fish Audio.